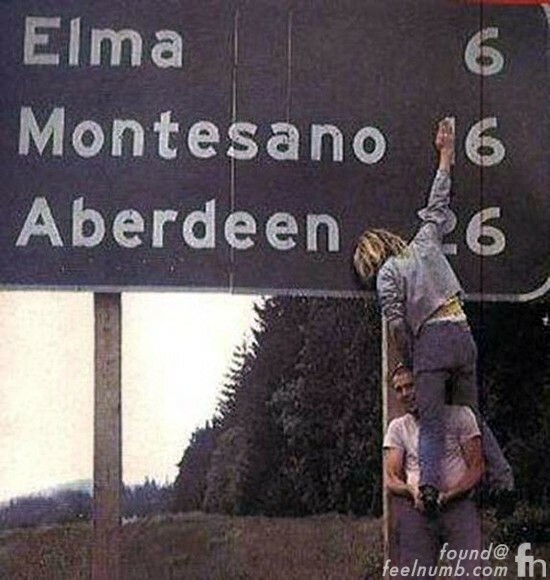 Feelnumb.com is really looking for a photo and exact location of this freeway sign that Kurt Cobain took the time to get boosted by Krist Novoselic to take this classic 666 “Devil Worshiping” photo. 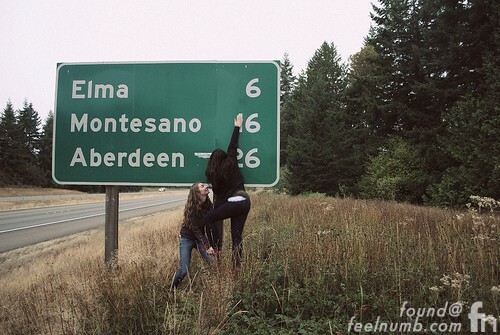 The only clue is that it is in Washington State somewhere before Elma, Montesano & Aberdeen. Leave info and photo in the comment section…Good Luck!!! Dan Kozak from Los Angeles wins!!! Here is the link he sent in. Click on the photo below to check it out on Google street view. UPDATE: Seems like the sign has become somewhat famous as Nirvana fans pose and recreate the Cobain/Novoselic pose. Thanks Dan. Send me your info name, address, shirt size to raul [at] feelnumb.com. I live about 50 miles from Aberdeen. I'll get a better picture of the sign next time I drive that way and send it in. I had no idea Kurt had his picture taken in front of it. 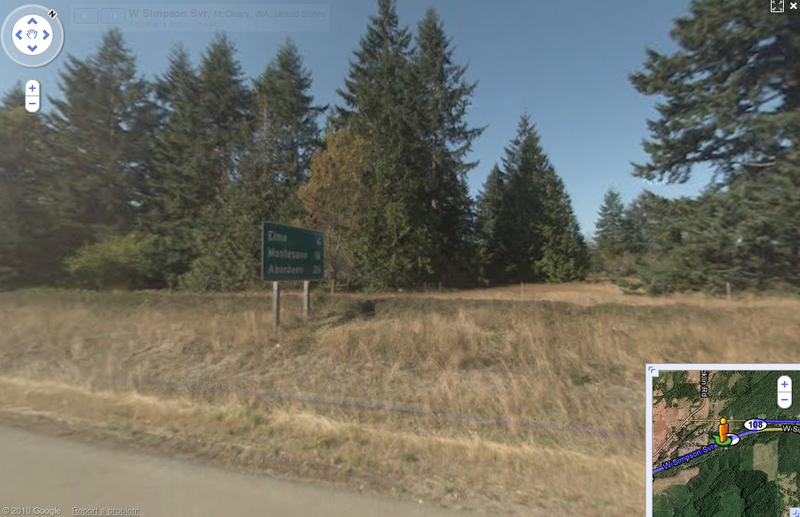 I live in montesano where Kurt went so part of junior high/high school… that sign is 5 miles from my house!